Discover how we solved the design challenge of different clients. 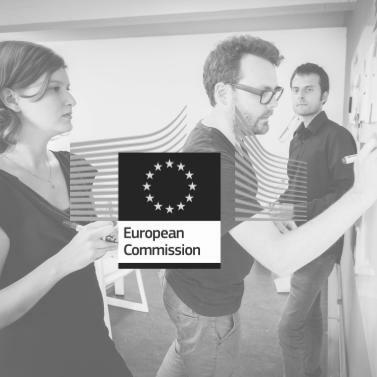 The U-Sentric team was asked to help build the “new digital presence for the European Commission”. Together with our customer, we built a new version of their core software from scratch based upon the needs and wishes of its users. How to bring your product to the market in a User-Centered way when a staggering 70% of all innovations fail due to lack of user acceptance? Korazon, a web development company was not satisfied to only deliver the products their customers ordered. They wanted to "wow" them. U-Sentric was the ideal partner to achieve this goal. They were about to launch a newly designed nail polish bottle that would make applying nail polish a breeze. But Pronails had some doubts about the new design. Would the benefits of the new bottle be recognized by customers? What would the perception be?